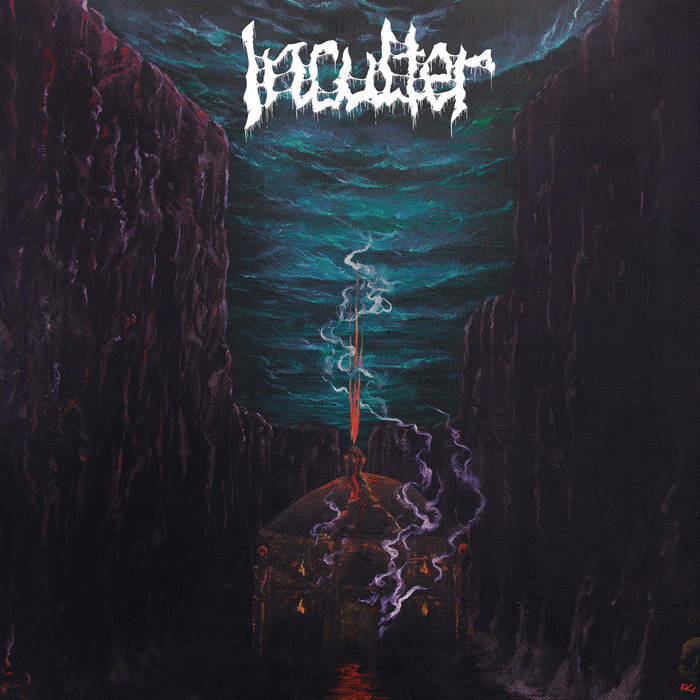 In 2017 I reviewed the debut full-length album (“Persisting Devolution”) from Norwegian blackened Thrash band Inculter that was released in 2015. I stated then that this album was a must have for all underground lovers of aggressive Thrash with a black attitude inserted. Four years later the follow up album will be released in April 2019 titled “Fatal Visions”. Personally it’s taken too long since the release of their debut I think, cause in fact I already forgot about this band to be honest, even while they positively charmed me back then. What the reason (s) is/are for this long absence, I don’t know, but after listening to this new one, I already can say that nothing really changed. The label is the same, the artwork is in the same line of its predecessor and they also play the same music, so listeners will again be able to enjoy the speedy riffs, the furious riffs and the maniacal vocals from Remi. . But digging a bit deeper I noticed that they’ve doubled up (4 members instead of 2) their line-up – which is definitely the reason why everything sounds tighter – but also changed the drummer.